The number of properties you own has little to do with your ability to live comfortably off of your investment property portfolio. What does matter is the combined value of those assets…and the returns they provide. When beginning property investors first start to build up their portfolio, often they’re not focused on anything past the first one or maybe two properties. But trust me…you’re going to need more than two properties to gain financial freedom; unfortunately, statistics show that only a small number of investors own six or more investment properties. Essentially there are three phases a property investor must go through before he is ready to enjoy the hard won fruits of his labour. As you might guess, the acquisitions period of an investor’s wealth building cycle is when all of his effort is geared towards creating a supply of properties that will provide the capital he’ll need to fund his retirement. At this stage, the investor’s goal will be to stretch his equity as far as he can by using higher leverage loans, to increase his cash flow by using his buffers and to reduce his tax via any negative cash flow properties. His focus will be on high growth locations in a variety of marketplaces to make the most of his equity gains. Once the investor has exhausted his equity he will move on to the consolidation phase. This is where he’ll refine his investments to maximise the yields to increase his cash flow. He will cycle through the acquisition and consolidation phases numerous times until he’s ready to transition to the lifestyle phase of his investing career. The lifestyle or legacy phase of an investment property career is the place the property investor is striving towards. He may work fewer hours in order to do something he enjoys more, or he may consider buying property through his self managed super fund. I want to retire…where should I start? If you haven’t done so already, consult with a finance professional who is well acquainted with investment property owners’ needs. Work with him to build up an asset base of high capital growth properties. Once you’re ready, you can move into your positive cash flow phase of investing by lowering the LVR of your portfolio. Once you’ve reduced your debt to a lower LVR – maybe somewhere like 50% or so – you’ll be able to enjoy the benefits of leverage while owning property that is positively geared. By using leverage to fund your lifestyle. Now that your leverage is reduced (and your serviceability has increased) you can approach your lender, show them your self-funding investment property portfolio and borrow your lifestyle expenses. The money you receive isn’t taxed because it’s not income, but even with the non-deductible interest that you pay on the loan you’ll still have the bulk of the money to live on. For example, let’s say you borrow $100,000 each year. If your investment property portfolio is worth $5 million, your value could increase by at least half a million dollars. Even in a bad year your portfolio’s value should increase as should your rents. This, of course, is assuming you’ve purchase properties that are solid performers. So then, at the end of the year your LVR should be less than when you started, leaving you wealthier and your serviceability none the worse. If you want to meet with like-minded people sharing the same interest for property investment, you should register to attend our next Property Investor Night. At these FREE events held all across the country we discuss where the growth markets are right now, and share ways you can navigate your way to financial freedom through investing in property. Seats fill up fast, so book yours now! 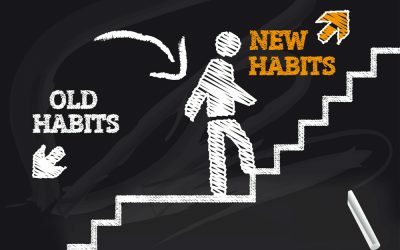 Do You Have Wealth Creation Habits? Is a Structural Renovation Right for Your Investment Property? Copyright © 2001-2019 Positive Real Estate Pty Ltd. The information on this site, including statements, opinions and documents available on this site is for general information purposes only. It does not contain financial advice, and does not take into account your objectives, circumstances, or needs. Members and representatives of the Positive Real Estate are not licensed to give advice in relation to financial products, including Self-managed Superannuation Funds. You should obtain your own financial, taxation and legal advice before making any investment decision.